Mom always knows best, and yet while growing up, we don't always listen to her advice. We are paying tribute to mom's best words of wisdom, and want to hear your stories. Share your mom’s best advice to be entered to win a $4,500 Travel Credit, "Just for Mom" Prize Package and HP Print Bundle. With HP mobile printing technology, you can print from your mobile device to an HP wireless printer anytime you’re connected1,2. 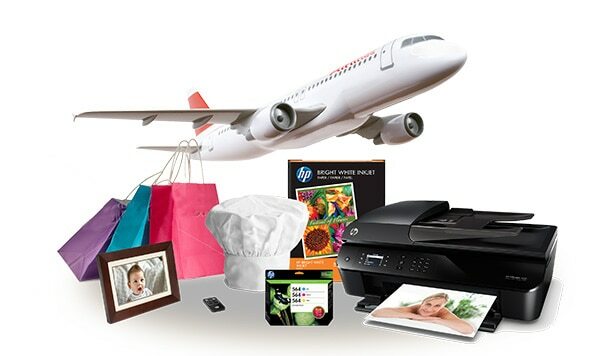 Print stunning photos, crisp recipes, and more with the consistent quality of Original HP inks. Watch how to print from an Apple device to your HP Printer. Save $70 on the HP PhotoSmart 6520 between May 2 and May 15, 2014. Wireless access point or internet connection required, but are not included.